Please note this article was first published in 25 Mar 2010. Its content may now be out of date. We recommend taking a look at more recent website building blog posts or check out our comprehensive support pages. If you are looking for information on our 14 day free website builder trial we have a large number of webpages that guide you throug the process. Online shopping statistics continue to show a significant annual increase in the amount of money spent online by shoppers throughout the UK. This continued increase demonstrates once again the ability for Internet shopping to sustain momentum despite the downward trend in High Street figures. These figures aren’t really that surprising when you consider the growing popularity in Mobile Internet and the ability to shop online from a mobile phone. As Internet shopping becomes more and more accessible the number of customers soars. While the world’s economy fights its way out of the current slump, how and why are 1000’s of website builders turning to the Internet to stay one step ahead of their competition and minimize the effects of the current market? The Internet offers one of the cheapest and most effective forms of marketing! You can actually enjoy 12 months worth of interactive online worldwide marketing for the same price as just one ¼ page advert in one month’s issue of a national magazine. To compare it more fairly, you’d probably need to buy space in half the magazine to match the information capacity of a basic website! Naturally businesses want to get as much response and return as possible for their money. Websites are one of the most cost-effective and powerful methods of promoting your business, its products and services. When you look at the more traditional advertising mediums such as magazine and newspaper advertising, the Internet presents an absolute bargain! You can enjoy instant and measurable results without having to lay out great chunks of cash. Search engine traffic can be free if you know what you’re doing!! SEO (search engine optimisation) can help ensure that you appear in the organic search engine listings. Organic listings are the ones on the left side of the page – NOT under the “Sponsored Links” sections, as these positions can cost an arm and a leg! Effective and ongoing SEO can ensure that you achieve the best possible positions in those listings, which in many cases can result in your business appearing on the same page as the expensive sponsored links. 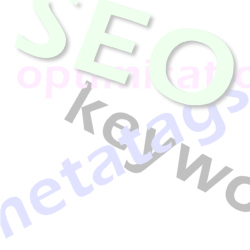 DotGO websites include such “effective and ongoing SEO” as standard with all business website packages. We do so love to hear from customers who now appear alongside these expensive positions, having beaten their competitors for a fraction of the cost. We would however ask respectively that DotGO customers try to Gloat with a little restraint!! Press advertising in newspapers and magazines or direct mail outs can be effective but can difficult to measure. A website allows you to measure your results with in depth accuracy. If you’re planning a marketing push for certain products or services and need to aim at specific audiences and demographics, this detailed feedback can be invaluable. DotGO offers a facility called WebStats, a website statistics package that stores all the history of your website stats into a database and allows you to create a powerful set of charts and graphs of every conceivable statistic. Understanding where your customers are coming from, which pages they are visiting and when they are on your website is important information. Webstats offer a great way of seeing how your marketing campaigns are working. Comparisons over time allow you to prioritise your off-line spend and get to know your web-based customers habits. To look at this facility further, log into your control panel, click Step 1 and click the Upgrade “Add New Features” button on the left. Then click the “Website statistics and hits package”. You can view a live example and view some of the graphs and statistics available. Please remember, this article was first published 25/03/2010. The content may be out of date and you cannot post comments any more. Please check out our new blog.